Add some sparkle to your relationship with our wide range of romantic gifts. From gift hampers, to jewellery to chocolates and more, our edit includes woo worthy thoughtful gift ideas for that special someone. Falling in love can be an unpredictable incident for the youngsters that take their life to a different world. It would be important to express the feelings towards the person that must have stolen the heart. Expressing love for the first time is a delicate and complicated process. The aspirants can take advantage of love gifts available at Giftcart.com for expressing the innermost feelings. In fact, these romantic gift ideas can help the aspirant lovers at any stage to make the recipient partner feel pampered. The divine feeling of love and affection can be felt and expressed by the people in love in various age groups. The youngsters in their twenties, recently falling in love with each other; the newlyweds staring their journey of their happily married life and the grandparents celebrating 30th wedding anniversary can express love towards each other. We offer a wide range of love and romance gifts at Giftcart.com that can be chosen according to the occasion and the recipient as well. The aspirant buyers that wish to create a lasting impression through their meaningful gifts can get fabulous gift ideas with a love theme through different categories of romantic gifts. The romantic gifts suitable for the beloved wife, on the occasion of Valentine’s Day would be slightly different from the suitable gift ideas for the husbands on their birthday. 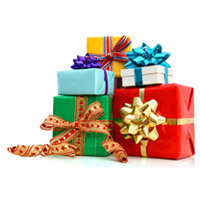 Therefore Giftcart.com offers different categories of occasions and recipients. As the aspirant buyers use these filters provided for meaningful division of gift ideas; it would be easy for them to choose the perfect gift idea for the recipient on a particular occasion. The girlfriends can choose romantic gifts for boys to make them feel pampered on the occasion of their birthday or even Valentine’s Day. 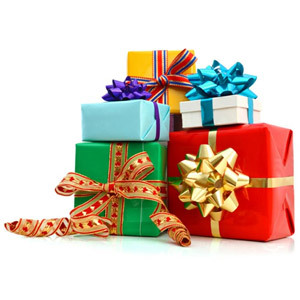 These gifts would suit the nature of most of the boys to look for what is for them in the gifts presented to them. Thus the gift hampers for personal grooming, executive gifts such as wallets and belts and gourmet gifts such as chocolates, cookies, cakes, dried fruit combos and tea powders would be included in this category. Boys can select romantic gifts for girls for their birthdays and Valentine’s Day through this category. Most of the girls love to be gifted with the cute and romantic gift ideas such as teddy bears, coffee mugs with love theme messages, photo frames, love props, cushions with love theme images and messages and so on.